If you’ve ever wondered about RAID, and what it might mean for you, then guest writer Bryan Keller’s article will provide you with the answer – and then some. 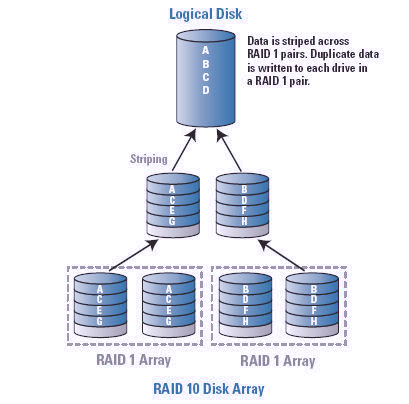 RAID is the acronym for either ‘redundant array of inexpensive disks’ or ‘redundant array of independent disks’. When first conceived at UC Berkley the former was the actual term that was coined but the latter is more commonly used today intentionally to disassociate the technology from the word inexpensive and the perception that RAID somehow implies a low cost solution. RAID is a storage technology that provides increased data reliability through data redundancy. This is achieved primarily by duplicating data across several storage drives in a configuration referred to as an array of disks. How Many Different Types of RAID are There? There are several different types of RAID array configurations each type being denoted by a single digit numeral, 0 through 6 (and various combinations thereof). These types are commonly referred to as RAID ‘levels’. What Distinguishes one RAID Level From Another? The makeup of the different RAID levels is varying combinations of redundancy, spanning, mirroring and striping. Redundancy is the duplication of data onto more than one physical drive to increase fault tolerance. If one physical drive in a redundant array fails no data is lost and there is an opportunity to replace the failed device. As long an one drive is functional, data is secure. However, in the case of a failure, the failed device must be replaced and the array rebuilt onto the new device. In very large data structures this can sometimes take a great deal of time. If there were to be a failure during the process of rebuilding the array all data would be lost. Spanning is the configuration of two or more physical drives into one ‘logical’ drive. The logical drive is treated exactly the same as a physical drive and will appear as just one device. Spanning is used to increase the amount of storage capacity of an array. As an example: if three 100 gigabyte hard drives are configured as one spanned array, the result would be one logical drive 300 gigabytes in size. Spanning alone provides no redundancy or fault tolerance and it is commonly combined with mirroring. Mirroring is the duplication of data onto two or more drives simultaneously to create data redundancy and increase fault tolerance. A mirrored array sacrifices half of its storage capacity to achieve a redundant status. If two 100 gigabyte drives are mirrored the result is a single 100 gigabyte mirrored array. Striping is a bit more complex. Striping is used to increase performance. This increase in performance is achieved by splitting the read and write data down into ‘blocks’ and then writing or reading that data simultaneously onto two or more physical drives on the same sector of each respective drive. In a simplified example imagine that you are writing 100 megabytes of data out to a striped array. If you were to take that data and split it into two 50 megabyte chunks and then write both of those chunks simultaneously, one 50 megabyte chunk to drive (a) and the other 50 megabyte chunk to drive (b), you would theoretically half the time required to perform the process. That, in essence, is the theory behind striping. Striping provides a significant increase in performance but it is also the most dangerous of all the RAID levels when used alone. Not only is there no redundancy but if either or any of the drives in a striped array fails, all of the data from the entire array is completely lost. RAID Level 0 – (2 Drive Minimum – no Fault Tolerance) Block Level Striping without Parity or Mirroring: Because this type of RAID offers no fault tolerance or redundancy it is technically not actually RAID. Raid 0 offers the best performance of all the RAID levels. Data is broken down into fragments called blocks and is then written to all drives in the ‘array’ simultaneously across what is called a ‘stripe’ (on the corresponding disks in the same sector). When data is read it is broken down into smaller pieces which can be read in parallel thereby increasing bandwidth. With RAID 0 if any drive fails all data is lost across the entire ‘array’. Even at minimum the likelihood of a catastrophic loss is double that of a single drive without any RAID at all. RAID 0 should never be used alone for critical data. RAID Level 1 – (2 Drive Minimum – Data Redundancy) Mirroring: In its simplest form RAID 1 simply duplicates data onto two different hard drives simultaneously, thereby providing data redundancy. Data redundancy means that if either of the two hard drives fails for any reason no data will be lost as there is an exact duplicate or ‘mirrored set’ of the data on the other drive. Data integrity is maintained as long as either of the two hard drives in the array is functioning. In the event that one of the drives does fail it is simply swapped out for a new working drive. The ‘array’ then ‘rebuilds’ itself by duplicating all of the data onto the new drive and recreating the ‘mirrored set’. Data is, however, vulnerable while a rebuild is in progress. RAID Level 5 – (3 Drive Minimum – Redundancy Through Parity) Block-Level Striping with Distributed Parity: RAID 5 combines the increased speed of striping with redundancy through distributed parity. In RAID 5 one drive out of the array will always be sacrificed to achieve redundancy. In other words, when there are three 100 gigabyte drives present in a RAID five, the array will be 200 gigabytes in size. However, by using distributed parity, the redundancy is spread across the entire array. Therefore, if any one drive in a RAID 5 fails, data integrity is maintained and an opportunity exists to replace the failed device and rebuild the array. RAID Level 6 – (4 Drive Minimum – Redundancy Through Parity) Block-Level Striping with Double Distributed Parity: Very similar to RAID 5, RAID 6 builds on the security of RAID 5 by adding an additional level of redundancy. In a RAID 6 up to two drives can fail and no data will be lost. RAID 6 makes very large arrays possible, where the time it takes to rebuild the array after a drive failure can be quite lengthy. In a RAID 5 scenario data would be vulnerable for far too long while the rebuild is in progress. RAID 6 addresses this concern by adding an additional redundancy drive. RAID 6 is the solution that should be used where data is extremely critical or high system availability is important. RAID Level 1+0 – (2 Drive Minimum (though 4 are more commonly used) – Redundancy Through Mirroring) Mirrored Sets in a Striped Set: Fault tolerance and increased performance. This RAID level is a combination of RAID 1 (mirroring) and RAID 0 (striping). RAID 1+0 can sustain multiple drive failures as long as no mirror loses all of its drives. RAID Level 0+1 – (4 Disk Minimum; must be even number of drives – Redundancy Through Mirroring) Striped Sets Mirrored: Here, a second striped set is created to mirror the first striped set. In contrast to the 1+0, in RAID 0+1, all the drives in one mirror can fail without a data loss but if drives fail on both sides of the mirror everything on the entire array is lost. There are also more combinations possible, but I will stop here. I own a Computer Repair and Data Recovery business in San Antonio, TX, San Antonio Computer Repair. I spent 10 years in database development. I am now also providing Website Development, Hosting, and SEO services. We use the Joomla CMS. Altogether, I have been involved in computer programming for over 30 years. I was a self-taught programmer back when the ‘Atari 800′ was all the rage! I had an Atari 800 with 16 kilobytes of ram and a 6502 8-bit processor that ran at 1.7 MHz, no hard drive and a 5 1/4 inch floppy disk that stored just 180 Kilobytes of data. Of course there was no internet but we had the dial in bulletin boards that we connected to at 300 baud. Guest writer Bryan Keller, gives you the lowdown on how you can improve, not only your web site or blog’s visual appeal but, how SEO (search engine optimization) properly utilized, can drive more readers to your site. SEO, which stands for Search Engine Optimization, is the process of optimizing one’s website to improve the position in which the website will appear within the search results obtained from a search engine based on specific keyword phrases. The exact formula for achieving this result effectively and efficiently is a much talked about and debated issue. 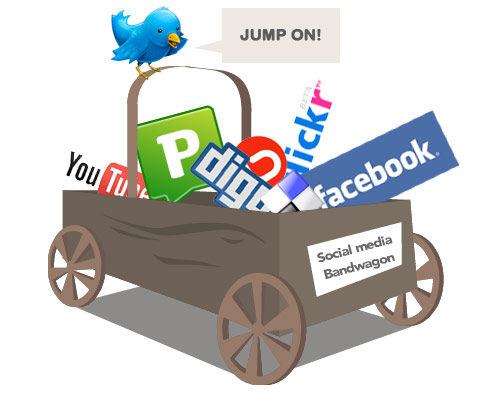 However, there is at least consensus on the basic approach to improving position and for anyone who owns an online business it is just about imperative to follow these basic techniques for there to be any hope of appearing somewhere on the first or second page of Google, Yahoo, or Bing. First, foremost and most important is the basic design and structure of the actual website itself. A carefully planned out, user friendly, logical, and straightforward landing page or home page is essential. In addition, maintaining a structured, easy to navigate, uncluttered and not overly complicated web design results in lower bounce rates. It is very useful to actually layout the design of the website on paper before any computer design work even begins. Using a graphical flowchart also greatly helps keep things organized and makes the design much easier to understand for anyone who will eventually be involved in the design, coding or implementation of the final project. A flowchart is basically just a simple graphical representation utilizing directional lines, graphical symbols and pointer arrows that is utilized to depict the design characteristics of a websites menu-flow, page-order, and logic path. In designing the website keep in mind that as much useful, high quality, informative, data about the business or industry the website is focused on should be included throughout the site itself. A glossary of terms that relate to the industry the website specializes in would be a good place to start. Another very useful inclusion could be a FAQ (frequently asked questions) page that describes in detail the most common questions relating to the website’s area of business, with descriptive answers. When it comes to SEO, there can never be too much information included in a website as long as it is all completely original unique content (unless references are duly noted). Original content means copying pages of data from the Wikipedia, or using content pages found on other websites or even ‘lifting’ excerpts of content from other websites simply will not work. Plagiarized content ‘lifted’ from other sources without express consent can also be a source of legal concern. This is one place where Google in particular, is very good at detecting copied content and will give no SEO advancement for such material included in one’s website. If a business owner is not able to author original content themselves it would be advisable to hire someone to write original content for the website. Original content is just as important if not more important than any other aspect of achieving good SEO results. Additionally, there are many so called ‘article submission’ websites that are available to host uploaded content articles written about almost any subject. As a matter of fact it is very possible that you may be reading this article on an article submission site at this very moment. The purpose, in SEO, to the process of uploading and submission of articles to these types of websites is twofold: first, popular article submission sites have thousands of guests each day which is a huge potential market for readers of the submitted articles and second, as an author one is allowed to create a signature that can include a link that directs traffic back to the website of the author’s choice. In the early days of the Internet backlinking was the holy grail of SEO. One merely needed to acquire many, many links pointing back to one’s website to achieve a very high position within the result set of a search engine. At that time it was mainly just the quantity of backlinks that determined a websites PR and not the quality of the incoming links. Those days, I’m afraid, are long, long, gone. The search engines are much ‘smarter’ today and the number of backlinks is not nearly as important as the ‘quality’ of the backlink in determining whether or not the backlink will provide a benefit to SEO at all. To prevent the misuse of link farming and other types of link manipulation the use of the ‘no follow’ attribute has been implemented. When the use of the ‘no follow’ attribute is applied to a link it directs the search engine to award no PR or ‘PageRank’ (PageRank will be explained in a moment) benefit to the landing site no matter how high the ‘PageRank’ of the referring site may be. This has been successful in helping to reduce the amount of spamming and ‘spamdexing’. Other methods that were once popular but are no longer effective include: keyword stuffing, the use of hidden or invisible text, the use of unrelated hidden content with high search volume, and Meta tag stuffing. If you are solicited by a business that mentions any of these techniques as a means to improve your SEO be sure NOT to do business with them! None of these methods work at all anymore. At this point it becomes necessary to discuss PR or PageRank. PageRank is the method of grading a websites ‘authority’ or importance on the web and the process was developed primarily by researcher Larry Page (hence the name ‘Page’ Rank) at Stanford University as part of a research project. Page and another researcher named Brin later founded Google and took the technology with them and it is still the basis of the Google search engine and search tools to this day. Needless to say, trying to understand an algorithm this complex exactly will never be possible but there are still many things that can be done to boost a sites PR and help improve its placement in search engine results. We have discussed the importance of a high quality website design, the need for very informative original content, article submissions, backlinking and PageRank. This would be a good time to begin discussing the process of determining keywords and keyword phrases. Selecting the correct keywords and keyword phrases to focus the SEO efforts on can determine whether or not it will be possible to successfully achieve the intended result. It is very important to take the time to do some research on competition and keyword popularity. In general the most common terms that describe a business would be the best place to start. For instance if you own a business that provides roofing contracting services keywords that you might consider focusing on might be ‘Roofing Contracting’ or ‘Roofing Contractor’. 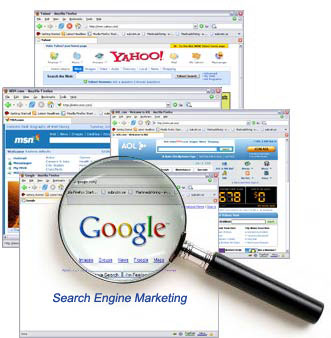 Google provides a tool that displays the average number of searches for selected keyword phrases. You can find this tool by searching Google for ‘keyword tool’. After entering the keyword or keyword phrase and pressing the ‘search’ button a page of results will be displayed that indicate the number of times the particular keyword(s) has been searched for on average each month. Also displayed are many other similar phrases that most closely match the keywords that were searched for. Take the time to scroll through this list and many good alternative phrases can be found in this way. Choosing the phrase that has the most searches and most closely matches the website’s line of business is a solid practical approach. Altogether, I have been involved in computer programming for over 30 years. I was a self-taught programmer back when the ‘Atari 800’ was all the rage! I had an Atari 800 with 16 kilobytes of ram and a 6502 8-bit processor that ran at 1.7 MHz, no hard drive and a 5 1/4 inch floppy disk that stored just 180 Kilobytes of data. Of course there was no internet but we had the dial in bulletin boards that we connected to at 300 baud. lol.